Grab Attention: Remember that link you saw somewhere that you HAD to click. How do you think it stood out from the rest on the page? Well that post must have created a great amount of curiosity and excitement in your mind that pushed you to click that link. That’s exactly what your links should do to stand out and literally scream out “CLICK ME” (well, not literally ). You will most likely be interested in clicking on the second link. Be Specific: Building on the first point, you need to make sure that the article that you are posting not only grabs attention but is also precise. Let your visitors know exactly what they are going to get when they click on your link. The title with no direction can often be interpreted as a spam link and you can easily lose out on potential traffic. The whole idea is to tell people what they are clicking even before they make it to your website. Recycling posts: As per research the average life span of a tweet is approximately 18 minutes and that of a Facebook post is approximately 2 hours. With the new Facebook algorithm, the life span is even less when posting through a fan page. This means that by sharing your content only once, you’re cutting its life short. So how can we tackle this? The answer to this is to create different social posts leading to the same content and share them on Social Channels. Let’s take this post and create 3 different titles that we can use to promote on Social. Depending on how much you typically post, this can be multiple times a day or multiple times a week. After a month you can revisit your old posts and if they are still relevant then you can share them again through different social channels. Don’t worry if people find out that you are sharing old content, what is more important that your visitors enjoy what they read. However don’t overdo this practice. So there you have it, that’s our recipe for getting visitors from Social Networks to your website. We would love to hear about how you manage to do the same. Drop in a comment below to share your tips. Social Media Platforms have been revolutionary in the way we now share and get information. Brands can now not only have a two way conversation with their consumers but also push one way communication that brings value to them. But there are a lot of things that you will need to consider before you can actually post on these social media platforms. So here is a list of 7 best practices to publish content on social media. 1] Make sharing easy: One of the best things about Social Network Platforms is that you can share almost everything through them as long as there is a way to share it from the source. If you want more eyes for your content then you will need to add social sharing buttons in the beginning or towards the end of the article. In doing so you are allowing an easy doorway for any reader to share your work on popular social media networks. The amount of shares that you get will directly result in the amount of visibility for your blog posts. You can try using Add this which will allow you to add beautiful share buttons in your posts. 2] Treat every Social Platform equally: We all know that every social platform is different in function but each of these platforms are capable of giving you ample amount of visibility. Learn and understand each social platform and find out what works best with them. If you find that manually updating each social network would be time consuming you can try using apps like Buffer or Hootsuite that will allow you to schedule posts to popular social media platforms. 3] Track your links: You need to understand the impact of each article and which social media platform gets you the most visibility. The best way to understand this is by tracking each of your links that lead to your posts. You can use bit.ly which will give you a detailed report of how many times the link was clicked and from which platforms you received the clicks. You can use this data for building a better strategy for content marketing. 4] Use your data: You might always wonder what’s the best time to post is or what kind of content works well. But the only way that you can understand what’s right is when you read your data well and put the learning to use. Trust us when we say that your social platform data is a gold mine of useful information. 5] Be creative and experiment: What you do now may or may not be the best thing for your social campaign. Being creative and experimenting will give you an idea if something new is working better for you or not. Don’t go all out experimenting but have a planned structure so that you can test and evaluate accordingly. Also you will have to keep in mind your users who may or may not like a sporadic change in the way you are publishing content on your social channels. 6] Make a social calendar: We must say that this saves our day, almost every day. Your content calendar will give structure and timeline for all your blog posts. You will know in advance what you need to go after and not scramble in the last minute to ideate for your blog posts and then start working on it. A social calendar will also give you an opportunity to understand if you can actually squeeze in some extra work that could improve your output. Has worked exceptionally well for us. 7] Promote existing content: You have put in a lot of hard work into building those blog posts, then why post it on social once and forget about it? Try out different headlines and post types to find what is most effective to maximize traffic. An important piece of advice here is that don’t overdo it. Experiment with different days of the week and different times of the day to get the best results. So what are you waiting for, it’s time you upped the game of publishing content to various social media channels by keeping these best practices in mind. Remember, do what’s best to achieve better visibility for your work. Don’t forget to share your experience and what has worked best for you in the comments section below. So you have written some great content for your blog, but how are you planning to get eyeballs to see and appreciate your content. In this already crowded internet space you will need more than just writing good content and waiting for people to come to you naturally. Well, if you don’t have a strategy yet then we would suggest that you give the following tools a try. These amazing tools will make the Marketing of your blog way more organized and fun. Buffer: This app does not really need introduction. From the time of its inception this has been the most used social media sharing tool till date. You can simply add all the content that you wish to share at one point in the day and the app will automatically post for you at different popular social media channels. You can also use the custom scheduling, detailed analytics and team member access which make it the most sought after media management tool to go for. HootSuite: This is another awesome Social media management tool that should consider using. You can control all your tasks like monitor social channels, post updates, upload images, reply to comments/tweets etc. You can also get a custom analytics report via this tool. There is an app available to be used over mobile devices and it also has feature that allows different members of the team to access social easily. The free version is limited in features, however if you are serious about your blog then using the PRO version will be worth every penny you spend. Google Analytics: This tool is from the search engine giant Google. Google Analytics can generate detailed reports about a website’s traffic and sources. Google Analytics can track visitors from all referrers, including search engines and social networks, direct visits and referring sites. This will be great to understand where you need to focus your marketing towards. Blog Engage: This website takes advantage of the vast blogging community on the internet. You can sort blogs and blog articles by category and also narrow down your search using the tag cloud. This website is a great place for blog commenting, receive quality back links, meeting new bloggers and promoting your own content. You will love this website if you are need of good traffic. Viral Content Buzz: This is a great way to share your content to a much wider audience. What this tool does is that it gets you more likes and tweets from different channels that are outside your group. These are not paid like or tweets but are genuine people who have read your blog and would like to share it. This keeps the shares organic and engagement levels reach new peaks. This type of organic sharing gives your content its best chance to go viral! Though some of the tools mentioned above are paid, they are worth every penny you spend. It is time for you to change from a good blogger to a complete blogger with the help of these tools. If you still have not used any of these tools its time you get your hands dirty with them. Facebook’s Advertising Boom: 4 Things You Can’t Not Know About! Gone are the days when you have a product, you have a little launch event, some here and there advertisement on radio and television, some print buzz in newspapers and you are done. This much effort is not enough anymore! For your product to give an outstanding response and sale, the marketers need to go out of the way and promote the product. A few years ago, came in the picture the social media. It gave the opportunity to “find your TG online”. Ad banners, pop-up ads and paid search results almost ruled the online advertising planet. When Facebook Advertising came in picture, many of us were skeptical about how Facebook was going to get marketers to spend a significant amount of time and money on their platform, which is clearly not the case these days. 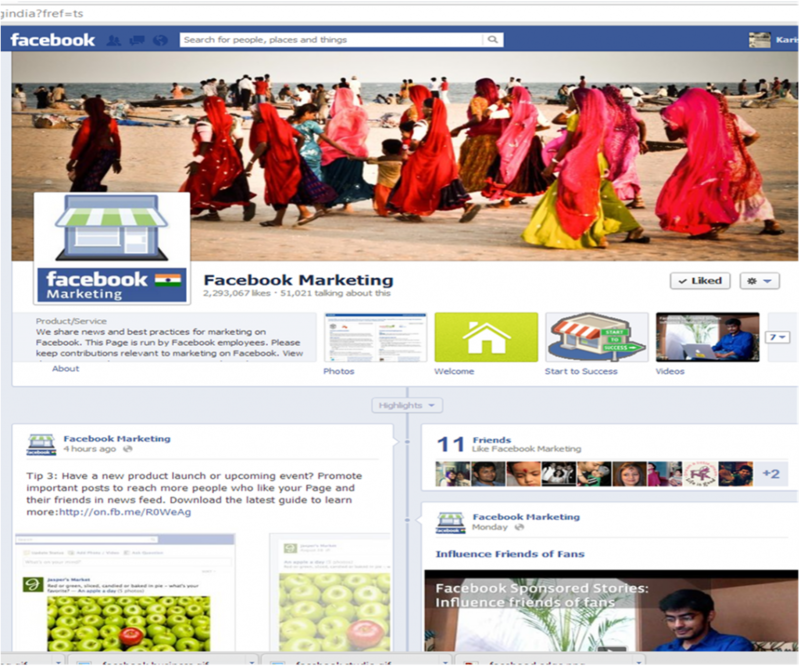 One thing which every marketer is now sure of is – Facebook Is Here To Stay! According to the State of Inbound report HubSpot put out this year, “42% of marketers say Facebook is critical or important to their business.” That percentage has gone up 75% from where it was just a few years ago. Talk about up and to the right! Well yes. You saw it right. Believe it or not, Facebook runs a page with over 2 million ‘likes’ (if that matters to you) that they manage actively to help marketers use Facebook more efficiently. They keep posting about the upcoming Facebook Seminars or Webinars that they are conducting; respond to the queries and questions posted by people on their wall, show up valuable researches and statistics that help you use social media advertising more effectively. For those of you looking to try your hand at Facebook ads, you might find there aren’t a ton of resources out there to help you get set up and running smoothly. In this section, they outline how things work, show off some success stories, and answer to questions. You can also find some contact information for those nagging questions you can’t quite figure out. This probably might be the least famous resource that Facebook has ever known till now. Instead of just focusing on how you can set up an ad and spend money with Facebook, they have worked to put together information on how you can get the most out of Facebook as a business. The page covers the basics like building a page and conversation etiquette, but it also gives tips on how to engage your audience and influence friends. 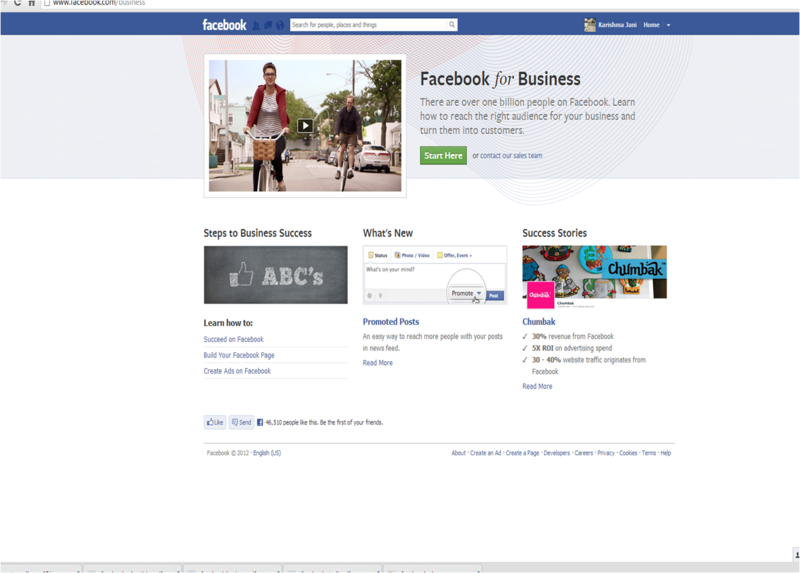 This is by far the best resources Facebook has put together for marketers. 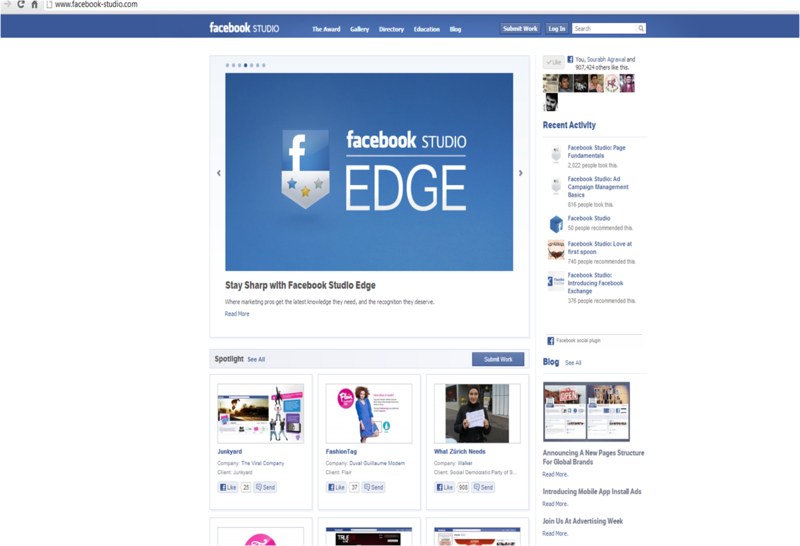 Here you will find a gallery of creative Facebook campaigns, explore award-winning campaigns, a directory agencies experience in Facebook marketing campaigns, and more. This definitely gives you a deeper insight about the extent to which one can use Facebook to promote your product.